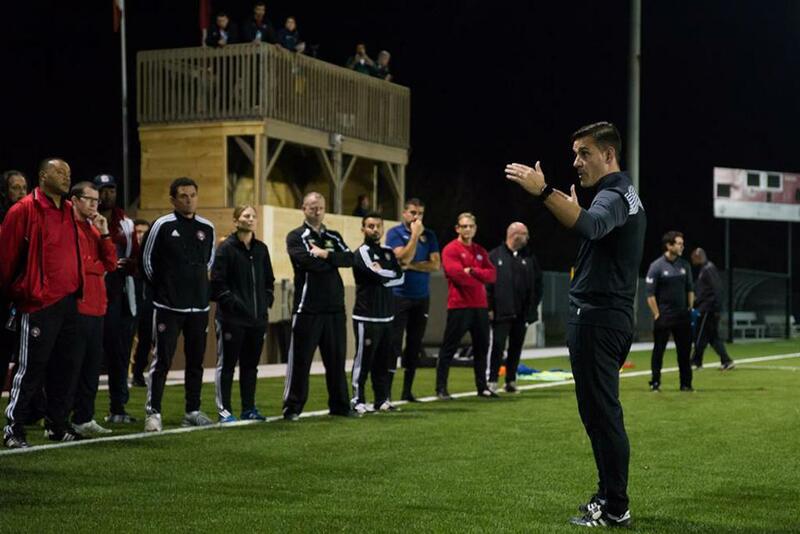 On the night of Thursday November 5, 20 League1 Ontario coaches and 15 Technical Directors from the OPDL took part in a professional development session for the high performance stream by John Herdman, the head coach of the Canadian Women's National team. The learning opportunity featured in-class and on-field sessions at the Ontario Soccer Centre. League1 Ontario women's champion Durham United FC were in attendance to assist with the on-field session with Herdman. Gary Miller, OSA Technical Director, extended his thanks for Herdman for his hard work and trumpeted the need to work together. "We're very grateful for John for taking the time to lend his expertise to this event. I know our coaches have taken a great deal away," Gary Miller, OSA Technical Director said. "We believe it's incredibly important that we build these types of relationships for our coaches. From the national level down through all our high performance programs - from OPDL up to League1 - we want to ensure we're all pulling in the same direction together." 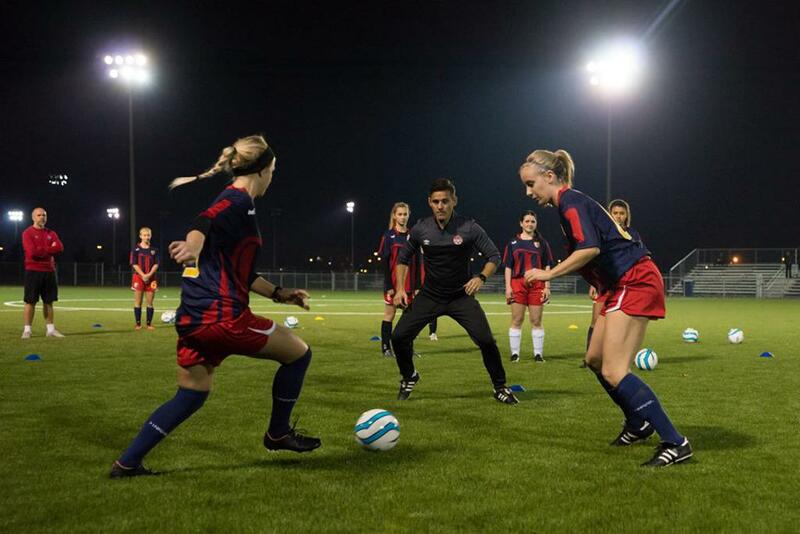 Herdman explained why it was important to host a session like this. "League1 is a step in the right direction for women's soccer in the region as it provides a clear progression for players and coaches who are transitioning from the traditional junior pathways. Working with the coaches from the various clubs provides a great opportunity to share some insights on instilling a high performance culture, while revealing some of the modern tactical trends in international women's soccer." League1 Ontario commissioner Dino Rossi spoke about what it meant to the league. "League1 continues to strive to give the best opportunities for our players and for our coaches to reach their development potential," Rossi said. "John's leadership is second to none and is of great benefit to our high performance streams." Click here for a full gallery of photos from the event.